Dec. 18, 2015—Vanderbilt University Medical Center (VUMC) has announced an agreement with Epic Systems Corp., a privately owned health care software company based in Verona, Wisconsin, to provide key clinical, administrative and billing software to the Medical Center. Dec. 17, 2015—During the past year, Vanderbilt University Medical Center (VUMC) placed highly in several of the various rankings conducted by U.S. News and World Report. Dec. 17, 2015—Numerous key leadership roles at Vanderbilt University Medical Center were filled during the past year.  Dec. 17, 2015—The following is a roundup of the news that made headlines at Vanderbilt University Medical Center in 2015. Dec. 17, 2015—Santa stopped by Monroe Carell Jr. Children’s Hospital at Vanderbilt last week to visit with patients and families and pass out gifts to children. Dec. 17, 2015—Vanderbilt teams in the market for specialized software have a new in-house information technology group to call upon. Dec. 17, 2015—The Gerontological Society of America (GSA) — the nation’s largest interdisciplinary organization devoted to the field of aging — recently presented Walter Frontera, M.D., Ph.D., chair of the Department of Physical Medicine and Rehabilitation, with its 2015 Excellence in Rehabilitation of Aging Persons Award. Dec. 17, 2015—The Middle Tennessee Advanced Practice Nurses Association recently named Vanderbilt’s Jennifer Jayaram, MSN, FNP, its Advanced Practice Nurse of the Year. The organization is an affiliate of the American Association of Nurse Practitioners. Dec. 17, 2015—After 31 years and nearly 6,000 patient flights, LifeFlight’s Tom Grubbs has decided to hang up his helmet and retire. Dec. 17, 2015—Nominations for this year’s Vanderbilt Prize Scholar are now being accepted. The deadline is Feb. 8, 2016. Dec. 17, 2015—Country music artists Maddie & Tae recently performed for patients at Monroe Carell Jr. Children’s Hospital at Vanderbilt.